Casas Espania in 50 years we dedicate ourselves to real estate on the Costa Blanca, so we know very well what to look for tourists and guests who come to our estate. If you are thinking of getting a new home in Orihuela Costa, or anywhere on the Costa Blanca for your vacation or a second home, we are all the help you need. ·To start, the wide range of properties for sale on the Costa Blanca and Costa Calida Casas Espania puts at your fingertips the best opportunities for you to give an ideal home for your vacation purposes. 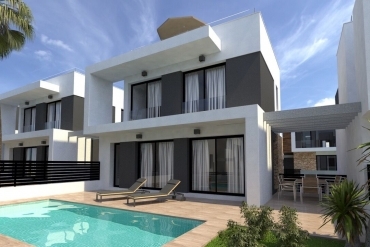 As we said, this time, we want to emphasize the great opportunity that is buying a new home in Cabo Roig, one of the best corners of the Costa Blanca and where, of course, we have homes available at the best price and excellent quality. ·In the Costa Blanca you can enjoy the best beaches in the country and a natural and beautiful weather. With around 300 days of sunshine a year and pleasant temperatures all year round, is the ideal place to relax and get the best quality of life. ·A variety of leisure, culture, shopping, fun, health, etc ... made from different localities of the Costa Blanca real gems to enjoy a dwelling on it in top condition. ·A health system up to the top. With a public offering accessible and a lot of private schools, Spain and this area in particular is a benchmark in the world of health. ·Cleaning. The area facing the Mediterranean Sea has traditionally been commissioned to accommodate most of the tourists who come to the country. As reflected to the outside, no detail escapes cleaning. It is one of the reasons why you can enjoy beaches as good rating and awards. 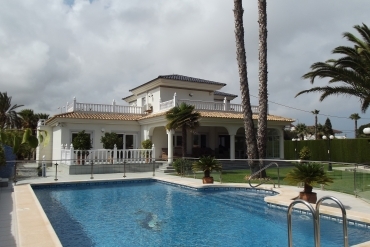 So if you want to get a new villa in Cabo Roig, Villamartin, La Zenia or any of the towns on the Costa Blanca where our real estate can help you find a property for sale, please immediately contact Casas Espania. 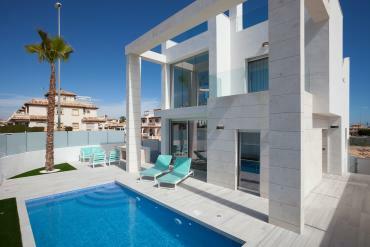 In less time than you think, you too will enjoy a dream life in the Spanish Costa Blanca.